Stop the presses, it’s happened – the first step towards the moment we’ve all been waiting for. 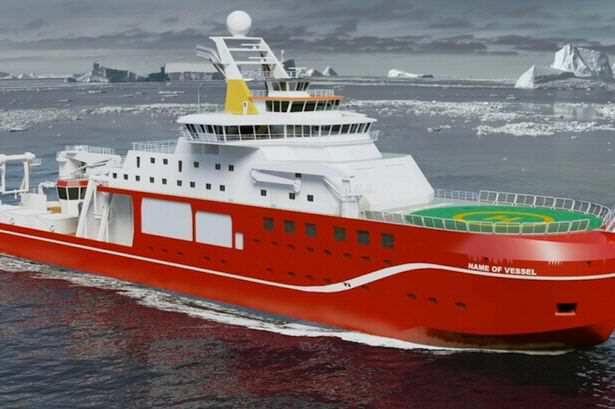 The public has spoken, and in its infinite wisdom has voted the name Boaty McBoatface as the number one choice for a new £200 million research vessel, beating its closest rival by nearly 90,000 votes, reports The Independent. The name – originally put forward by communications manager James Hand – drummed up an impressive 124,109 votes, while second favourite ‘Poppy-Mai’ received 34,371 and ‘Henry Worsley’ came in third with 15,231. The Natural Environment Research Council (NERC) who launched the #NameOurShip campaign, thanked the public for their ‘overwhelming interest and support’. @NERCscience @WingsScotland Went with Boaty McBoatface, anything else is just wrong. @NERCscience RSS Boaty McBoatface. Makes me proud to be British. However, hands off those champagne corks, the dream isn’t a reality just yet. [We] will now review all of the suggested names and the final decision will be announced in due course. Hmm, sounds like they could still scupper this and spoil everyone’s fun. @NERCscience If you don’t call it Boaty McBoatface I’ll hate science forever. @NERCscience if you don’t call it the winning name you’ll lose credibility instantly. Other names put forward included ‘It’s Bloody Cold Here’, ‘David Attenborough’, ‘Usain Boat’, ‘Boatimus Prime’ and – our personal favourite – ‘Boat Marley and the Wailers’. The Royal Research Vessel will be the largest and most advanced in the UK and is due to be operational in 2019. Let’s just hope NERC sees sense and gives the magnificent vessel the name it clearly deserves.